The harp is one of the oldest musical instruments in the world. The earliest harps were developed from the hunting bow. The wall paintings of ancient Egyptian tombs dating from as early as 3000BC show an instrument that closely resembles the hunter's bow, without the pillar that we find in modern harps. The harp is an instrument steeped in tradition yet open to change and for many it is more than a mere instrument, it is a calling! Helen’s concert harp is a Salvi Diana which has a full rich and even tone. It is known for its versatility, reliability, quality and most importantly, its manageability. The coming together of science and tradition has resulted in an instrument whose beautiful tones resonate throughout many local venues and locations. Robert Forrester (ForrestWorks) has been making individually handcrafted Lever Harps since the early seventies, with a dedication to his craft which is outstanding. 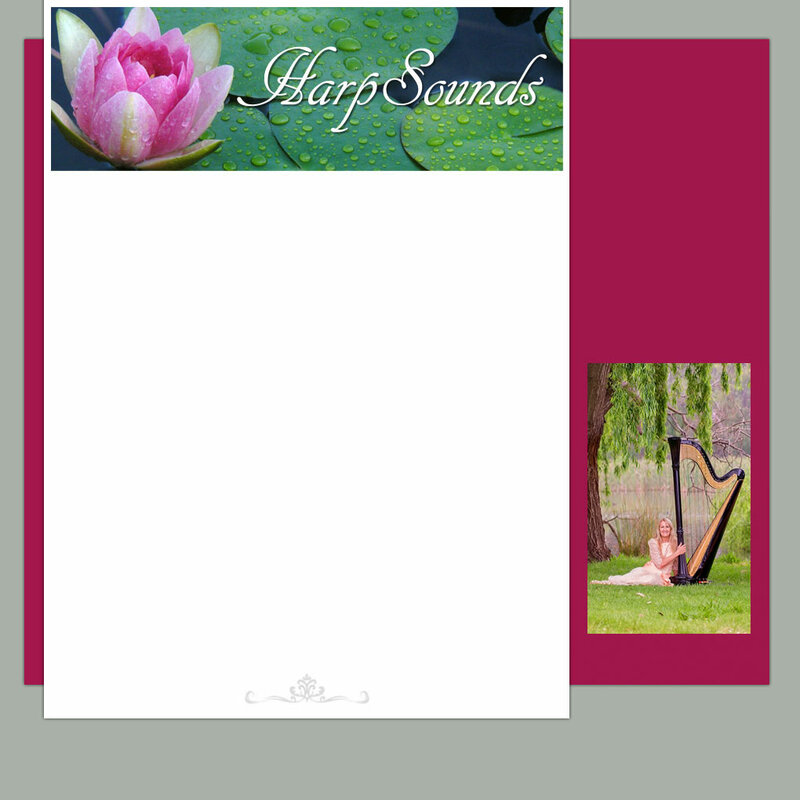 Helen has two ForrestWorks harps - a 39 string and 36 string harp and these harps are ideal for therapeutic music. Both harps are not only aesthetically beautiful, they also have a very deep and rich tone. For more information on the ForrestWorks harp go to www.forrestworks.net. Helen also has a Stoney End Double-Strung Lorraine-29 (58 strings total). This is a fun harp with so many possibilities and has opened up a whole new world of diverse playing styles. Another very special harp that Helen plays is the Reverie harp. This harp was born from an idea by Peter Roberts from Roberts Music. The harp itself has a beautiful tone and easy to listen to with the added benefit of being comfortable to hold - plus anyone can play the harp!